Tomorrow, 25 of March all government organizations, schools, banks and most of the shops in Cyprus will be closed due to Greek Independence Day. The Greek War of Independence, also known as the Greek Revolution was a successful war of independence waged by the Greek revolutionaries between 1821 and 1832, with later assistance from Russia, France, and several other European powers against the Ottoman Empire, who were assisted by their vassals. 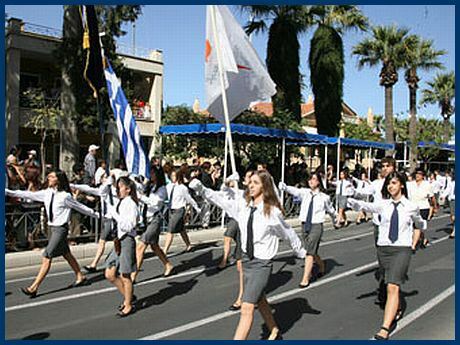 The Revolution is celebrated by the modern Greek and Cyprus state as a national day on 25 March.